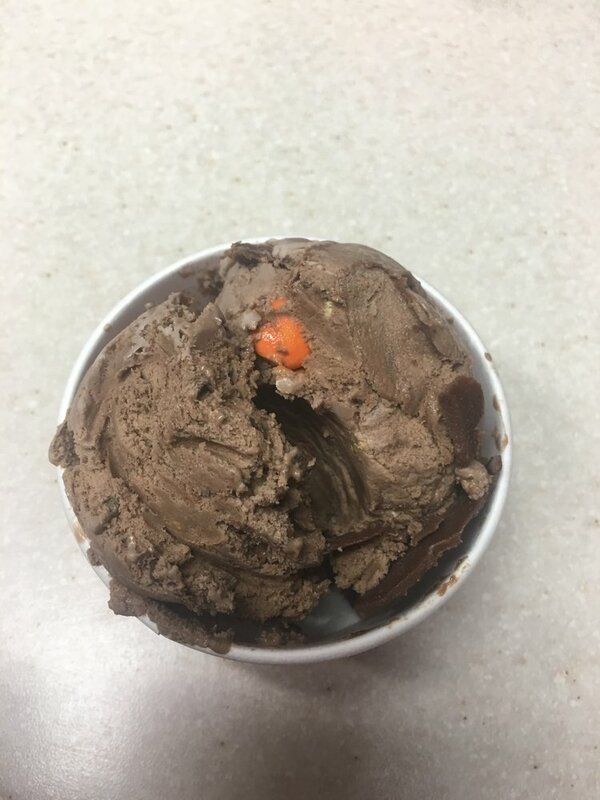 It is made up of REESE'S® PIECES® Candies and REESE'S® Peanut Butter Cups and a REESE'S® Peanut Butter and Chocolate ribbon. This flavor is filled with peanut butter and the chocolate is not overwhelming. The Peanut Butter Cups are more like a cookie dough consistency and there are few of them (had 2). The candies and good in this but like the cups very few in a scoop (I had 3). The ribbon they talk about well i could see it and the ribbon itself is former then the rest of the ice cream with deep peanut butter taste in a hard chocolate shell feel. This is really good flavor and texture but lacks the candies and peanut butter cups.